Since his start around 2003 Sub Focus found and secured his place in the drum and bass community and that has yet to change. 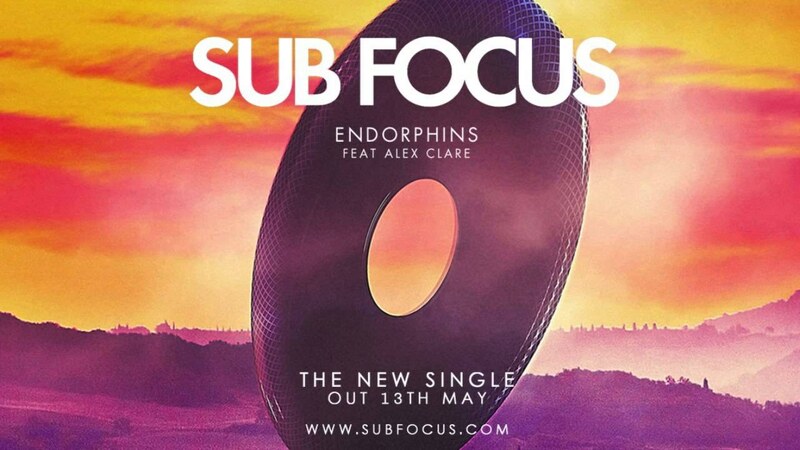 Continuing in the string of single releases, Subfocus recently aired his newest single Endorphins (featuring Alex Clare), on Annie Mac’s Radio 1 show. Alex Clare, the artist behind the vocals in this song is best known for his single Too Close which was featured in an Internet Explorer ad in 2012. Endorphins is set to release on May 13th along with multiple remixes as is usual. The tune has an incredible vocal track paired with a much more mellow synth/space feel to compliment the entire song. Notable remixes of this new track include a sick remix by Tommy Trash and a Sub Focus VS Fred V & Grafix remix that takes it to another level. Have a listen for yourself and choose which one you like the best. Leave a comment and let us know!